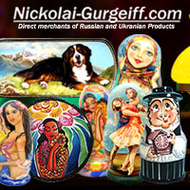 Welcome to the fascinating world of Nickolai Gurgeiff, the manufacturer and purveyor of fine traditional Russian arts and crafts. In many ways, it is a world that time forgot. Locked away behind the Soviet curtain of silence until Perestroika opened the country, most of our artists have spent their entire lives studying and practicing techniques that took centuries to develop. Handed down from generation to generation, and preserved through a rigid training system overseen by the government, these techniques are painstaking, time consuming and difficult to learn. 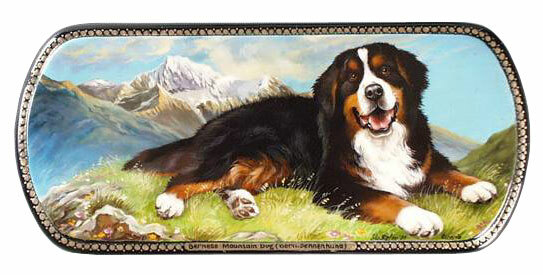 As a result the work of those who have truly mastered their craft is superbly crafted and exquisitely rendered. It is also completely different from anything else the western world has experienced. 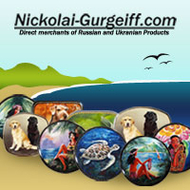 Founded in 1993, just after the Soviet regime ended, Nickolai Gurgeiff's mission has been to provide a market for the work of artisans trained in traditional arts, and to encourage the development and training of new artists. We currently employ over 10 painters with another 5 people engaged in the production of raw materials and the day to day running of the business. Since so many of Russia's artisans are working in small towns and villages outside the main cities, we make regular trips to these villages to recruit new talent. 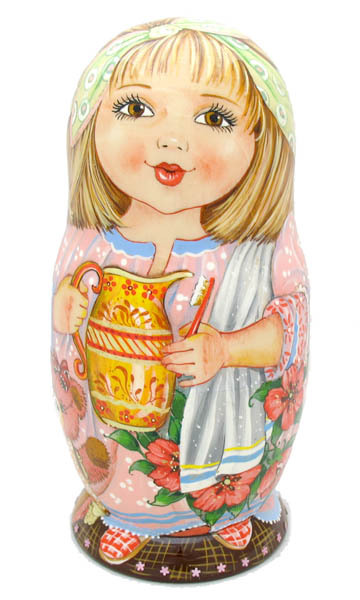 Our goal of course, is to introduce the world to the wonders of Russian art, and in so doing to provide the artists themselves with the means to continue their magnificent work. 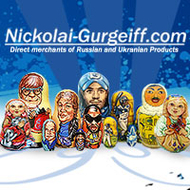 Nickolai Gurgeiff has an extensive range of products of Matryoshka dolls alsa know as wooden stacking dolls, ranging from elaborate hand painted land foil decorated to the current modern pop groups. 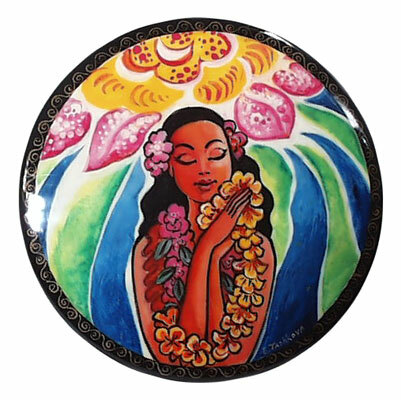 We also have a limited group of lacquer boxe painters painting both the traditional villiage style and custom design from Harley motorcycles to wild animals. 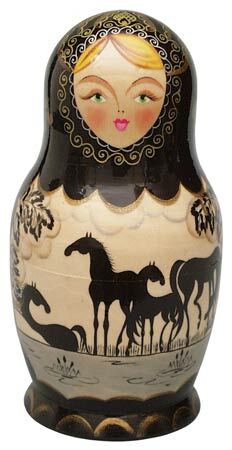 el porcelain, Faberge Easter eggs and traditional Russian herbs. 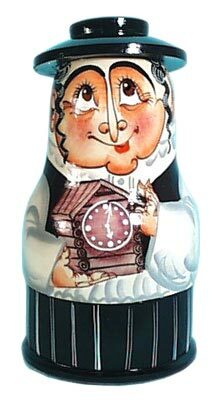 In each case we are actively engaged in the production process, doing our best to understand, encourage and preserve Russia's livin g treasures. 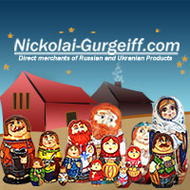 That is why we say that when you purchase an item from Nickolai Gurgeiff you are acquiring a bit of the heart of Russia as well. It's an investment that will be paying dividends for decades to come. 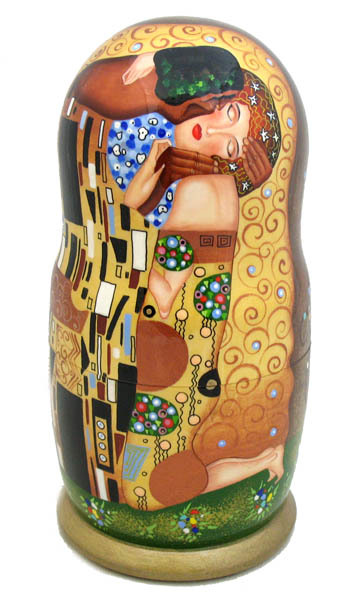 The offices and studio of Nickolai Gurgeiff are located in beautiful St. Petersburg, Russia, the fourth largest city in Europe and home of the one of the largest collections of art in the world. Enjoy the images on the following pages and if you do not find anything you like be sure to ask.